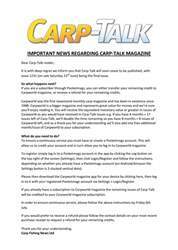 Issue 1173 of Carp-Talk is available to download! 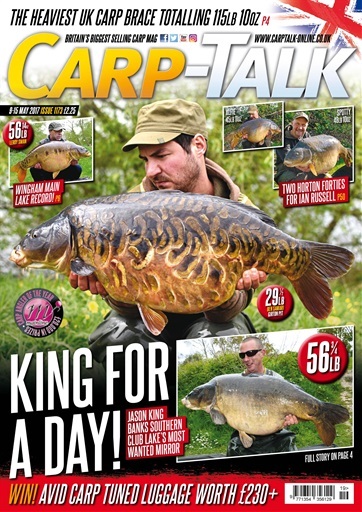 In a staggering week for big carp, we’ve got nine UK fifties in this issue! Darren Belton’s captures of the Ulcer Fish and Little Bighead for a combined weight of 115lb 10oz earn top billing for being the biggest brace ever recorded in the UK. Leroy Swan sets a new Wingham Main Lake record with a 56lb 14oz mirror, and there are lumps from Fryerning, Grenville’s, Horton Church Lake and Abbotts, amongst countless others. Steve Briggs tackles a French river, and Ian Russell bags a couple of Horton whackers. 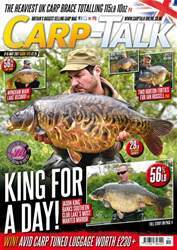 Gavin Neal looks at what it takes to be successful on pressured carp lakes, and Greg Ellis pays his first visit to Wraysbury 1 South Lake. 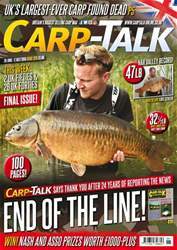 Duncan Arrandale is rewarded for his perseverance, and Trakker’s Levelite Oval Bed System and products from Bait-Tech, Gardner, Blakes Baits and Taylor’s Lead Lounge go under the spotlight. 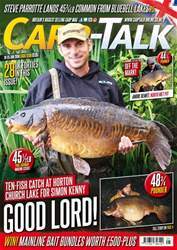 We’ve also got £230-plus worth of Avid Carp luggage to give away, and the Sticky monthly winners are announced.